Just like the TV Series, the local EV market never fails to surprise us, now with a third straight sales record, this time with 349 units, jumping the EV Share to 0,88%, with the YTD numbers shooting for 1.657 units, three times as much as the registrations made last year! Looking at the December models ranking, it was a close race to the top between the Tesla Model S and the Nissan Leaf, both shattering their previous records (115 sales now vs 67 in June for Tesla, 112 vs 84 for the Japanese), ending with a win (The first since June) for the American model by just three units. The VW e-Up! (47 units) ended in Third, while the Renault Zoe made a personal best in this market, with 36 units, ending the month in #4, this month recorded the landing of the Mercedes B-Class ED, with a very satisfying 8 units registered, and an unexpected sales burst from Smart, with 6 ED sales, when in the previous 11 months it had sold...one. 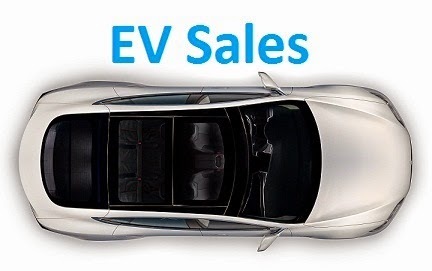 Looking at yearly numbers, besides the sweet-as-danish-pastries sales surge (There were more EV's sold in Denmark this year than in all previous years combined), the Nissan Leaf was the second model to re-validate a Best Seller title (2009 - Th!nk City; '10 and '11 - Peugeot iOn; '12 - Renault Fluence ZE), but it had to double the results (578 vs 212) in order to resist Tesla's push (112 unis last year vs 460 in '14). On the other hand, much was expected from German carmakers, but the Best-Seller candidate BMW i3 ended in #5, being surpassed in the last month by the recently-improving Renault Zoe, while the VW duo also had somewhat disappointing performances, if the e-Up! ended in #3, but far from the Top Two, the e-Golf was only #9, with its best registration month being the one of landing (August), with 5 units, and probably all being demonstration models, if the e-Up! outrageously high price keeps the smaller one from flying higher in the ranking, there doesn't seem to be a valuable reason for the compact hatch to be underperforming. After my most optimistic forecasts being surpassed by reality, i think 2015 should continue to the fast growth pace of late, probably ending the year with some 2.500 - 3.000 units. The models ranking should continue to see a close race between the Top 2 (Leaf and Model S), while the e-Up!, Zoe, i3 and even maybe the B-Class ED, will have a close fight for the last place in the podium. Please update Norway December 2014, Switzerland December 2014 and Belgium December 2014.